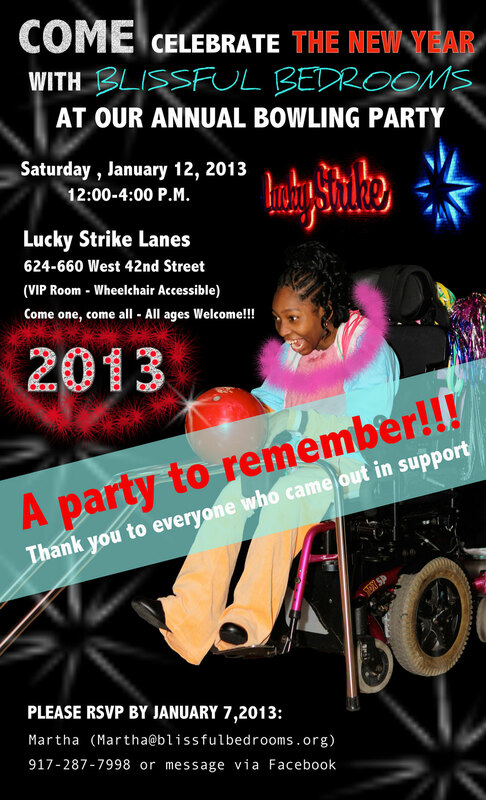 The Blissful Bedrooms family celebrated the New Year in style on Sunday, 1/2/13 and we are thanking our lucky stars for the continued love and support of Lucky Strike Lanes on 42nd Street and 12th Avenue. They graciously donated their VIP room – the Luxe Lounge – once agin this year for our New Year celebration along with complimentary bowling for the entire party!! Special thanks to their great employees for the spectacular service and for their compassionate treatment of our family. 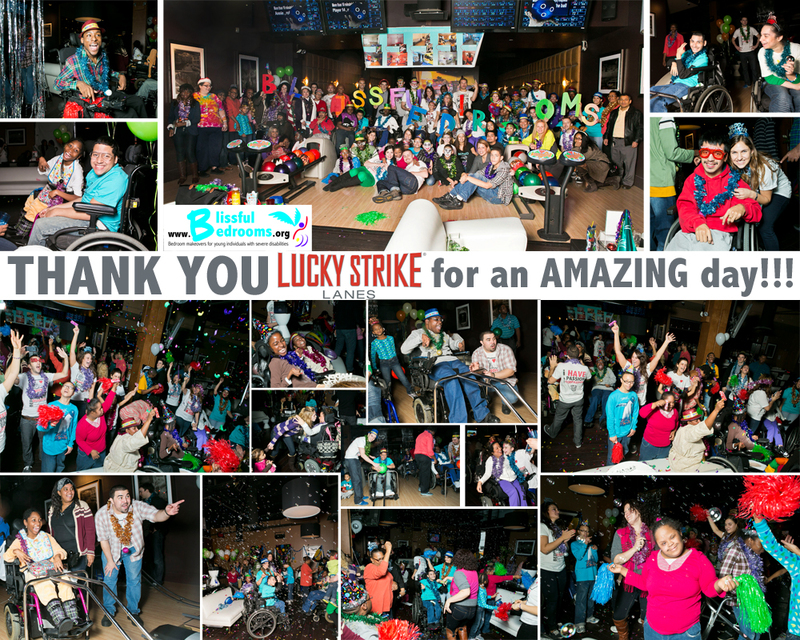 If you haven’t experienced the hip and cool atmosphere of Lucky Strike yet, we suggest you make it a point to visit. It’s a hip and stylish venue, yet the staff is down to earth and very welcoming. Tremendous gratitude to all of the volunteers who helped to pull off such a spectacular day. We love you and appreciate you so much!!! Thank you to everyone who came out and contributed their smiles and laughter to the big, beautiful energy of this wonderful celebration. We created so many special memories that will last the entire year and beyond. Also, we want to extend our appreciation to Zaro’s bakery for donating the beautiful cake for the party.